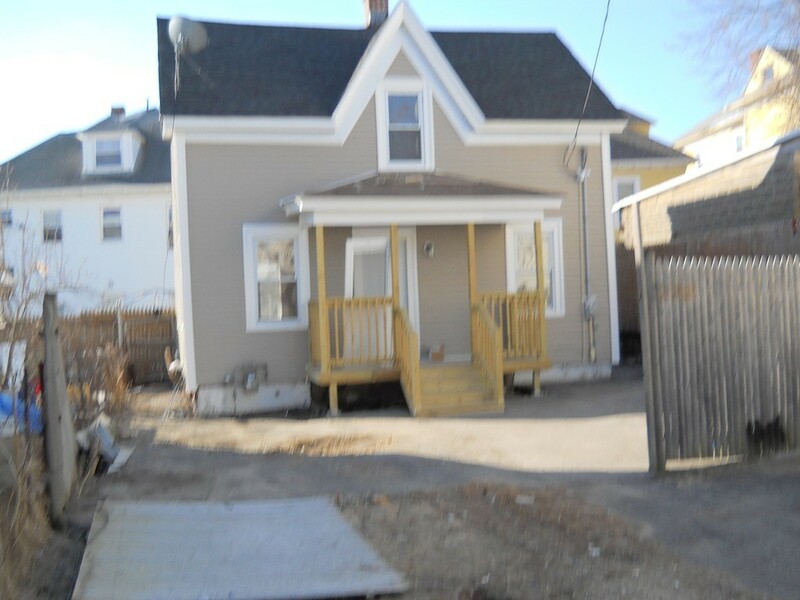 Newly renovated 6 room, 3 or 4 bedrooms, one bath colonial on level fenced lot. Some improvements include new vinyl siding, replacement windows, roof, pressure treated porch, electric and heat system. Pantry includes newer cherry cabinets with tile floor and appliances. All flooring has been replaced with either new carpets, vinyl, tile, wood and refurbished hardwood. Overhead lights in all rooms. Study on 2nd floor has closet and could be used as 4th bedroom or large walk in closet. 6-7 off street parking.